The Atlantic wolffish is not an attractive beast. Its appearance is characterized by its large, fang-like teeth (where it earns its name), which are used to crush prey like crabs, lobsters and sea urchins. Its throat is also peppered with more serrated teeth. It may come as a surprise then to hear that their numbers have dwindled relentlessly over the last century partly as a result of overfishing. In the US, catches of Atlantic wolffish declined from over 1,200 tons per year to around 30 tons per year between the 1980s and the 2000s. In the UK, wolffish have declined in English and Welsh trawl fisheries by 96% since 1889. In the Baltics, the fish’s population has been classed as endangered, meaning it has a high risk of extinction in the wild. But we don’t eat them. So why are they being overfished to the point of extinction? The causes of decline in the Atlantic wolffish population are predominantly three-fold: overfishing, “bycatch” and habitat disruption via bottom-trawling vessels. Wolffish are particularly prone to overfishing because of their size and relatively late breeding age, which means it takes a long time for their stock to recover. Wolffish are no longer targeted by commercial fishing vessels, though you can still purchase the fish in some places. However, this doesn’t mean they escape our fishing nets. 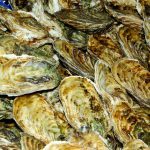 The species prefers colder water temperatures: between 0.5 and 3 degrees Celsius, Fisheries and Oceans Canada say, and so are generally found towards the seabed, between 100 and 500 meters below the surface. Wolffish are, therefore, often caught as bycatch (fish or other marine species that are caught unintentionally in the hunt for certain target species). They’re killed via bottom trawling, whereby a large net with heavy weights is cast underwater and dragged along the seabed, scooping up everything in its path. “Atlantic wolffish live and feed on the seabed and also ‘nest’ there in the sense that the eggs are laid in a specific place and then guarded by the male,” Chris Middleton, who runs Britishseafishing.co.uk, told Business Insider in an email. According to the Marine Conservation Institute, bycatch can sometimes amount to 90% of a trawl’s total catch and is extremely damaging to seafloor ecosystems. “Given the widespread destruction of seafloor habitat in the Gulf of Maine, the habitat available to sustain Atlantic wolffish populations has been greatly reduced,” wrote marine scientist Dr. Les Watling who co-petitioned for endangered species protection for the Atlantic wolffish in New England in 2008. The wolffish therefore faces the worst of all worlds: It is being hunted to extinction by accident, and — unlike the tiger or the panda or the snow leopard — isn’t cute enough to have attracted any humans passionate enough to save it. It won’t win any beauty pageants, but the Atlantic wolffish is actually a remarkable creature. 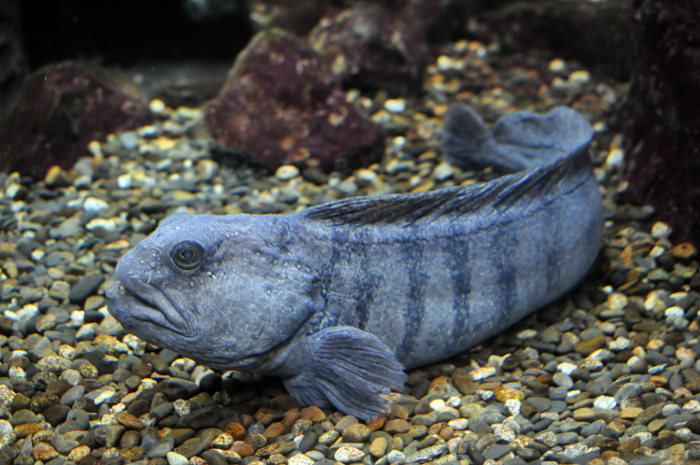 In order to survive the cold depths of its habitat, wolffish secrete antifreeze proteins, which keep their blood moving fluidly. Its characteristic teeth, worn down by the violent grinding and crushing of hard-shelled prey, are replaced every year. For a few months, the fish either fasts or eats soft-bodied animals until its teeth are regrown and ready for action. Furthermore, Atlantic wolffish play a crucial role in their ecosystem because of their unique diet. They regulate the population size of prey species like sea urchins and green crabs, which, if left unchecked, could have dramatic ramifications on their environment. They are also an important indicator of the health of Atlantic cod, which similarly dwell in the ocean’s depths. “Information regarding Wolffish populations are certainly ‘data deficient’ and with the species categorised as a ‘Species of Concern’ there is certainly the need for more research and understanding,” Sarah Russell of the Blue Marine Foundation told Business Insider in an email. In 2008, researchers filed a scientific petition with the federal government seeking endangered species protection for the Atlantic wolffish in New England, USA. That same year, a recovery strategy was proposed by Fisheries and Oceans Canada, which advised the mitigation of human activities in their ecosystem, habitat conservation and increasing public awareness. Russell said that Blue Marine Foundation was supporting, collaborating with and facilitating a Voluntary Marine Reserve in Scotland, which protects a number of species — the Atlantic wolffish among them. She added that Blue Marine Foundation projects will hopefully get underway in the near future. This article was originally published as We’re accidentally driving this extremely ugly fish to extinction at Business Insider on 14/01/19.